This ramen is such a great way to use up holiday leftovers. You’ve probably got stuff like mushrooms and green beans already in your fridge as we speak! In this case I’ve made the tsukune with ground turkey, but you could use ground chicken or pork, or your favorite vegetarian meatball. Miso and noodles belong together. Here are 6 recipes we turn to on the regular for simple weeknight meals that deliver a huge amount of satisfaction while also making us feel great. Fortified with smoky lapsang souchong tea and blue fenugreek, this savory, traditional Central Asian meat-noodle soup is even heartier with Umi Organic ramen noodles. 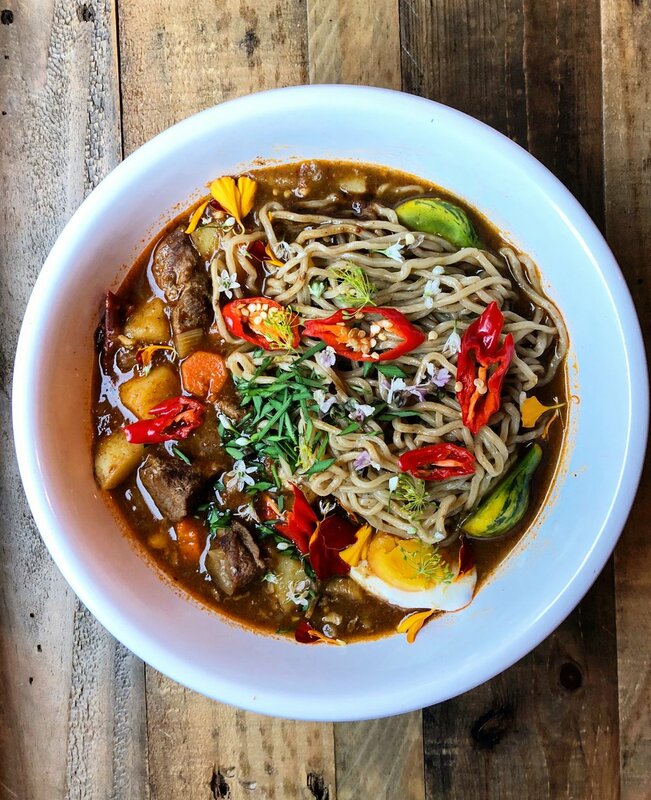 Though the dish comes from Central Asia, the name “lagman” comes from the same Chinese root word as ramen (lamian), making these two dishes ready for their Mongol-Turkic family reunion. A Japanese take on a classic home cooked fish chowder, with a cloudy, creamy broth and lots of fall vegetables. It’s comforting to its core. A speedy, simple version of the classic Tantan Men. Somewhere between a soup and a saucy noodle, this version is super easy to whip up and very satisfying, hitting all kinds of rich and deep notes thanks to ground pork, tahini and miso. It feels very much like classic Japanese home cooking. The dried shiitakes are an especially nice addition.